Manifold, scrupulous, neglecting nothing, always ready to make an effort, meticulous. 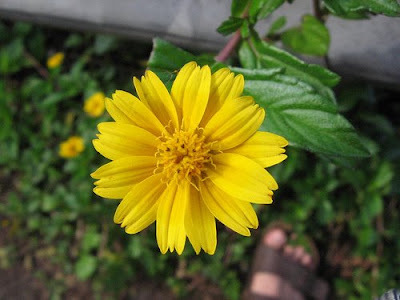 Medium-sized fragrant flower with five stiff separated olive green petals with crinkled edges and marked with greenish yellow, and a prominent lavender lip; widely spaced on erect racemes. 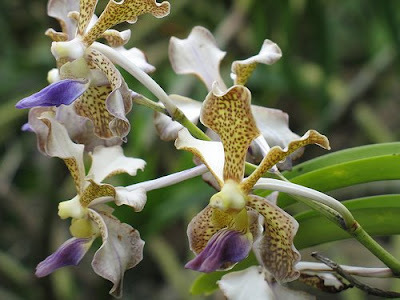 A heat-loving epiphyte with narrow straplike leaves. Nothing is too small to be neglected; all circumstances are met with the same care. Small compositae flowers with eight rounded ray florets and a small yellow or orange central disc, in yellow, white or orange with a yellow stripe near the centre; borne singly. A low erect annual herb with linear leaves. The gratitude that awakens in us all the details of the Divine Grace. Small white funnelform flower with a limb that emerges from a light green calyx and has a recurved edge; borne in axillary cymes; the buds and flower stalks are covered with bristly hairs. A rampant perennial vine with palmate leaves and clusters of dry seed capsules that resemble miniature wooden roses. Manifold and minute it forgets nothing. Tiny cream white pineapple scented fluffy balls of soft stamens borne in terminal panicles. 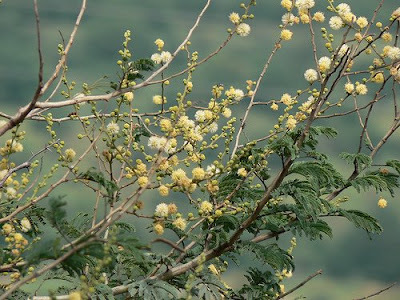 An extremely thorny tree with yellowish bark. The obedience to the Divine Will ought to be total. 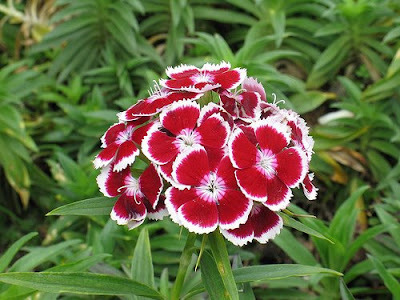 Small single slightly fragrant rotate flowers with fringed petals in white and shades of red, purple and pink, often variegated; borne in dense corymbs. 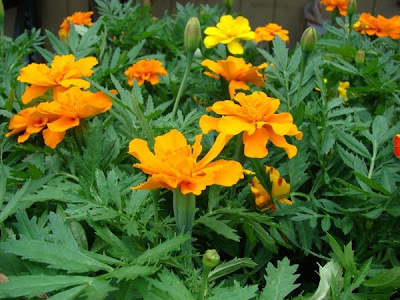 A favourite garden annual, biennial or short-lived perennial. One continues the work begun for as long as necessary. 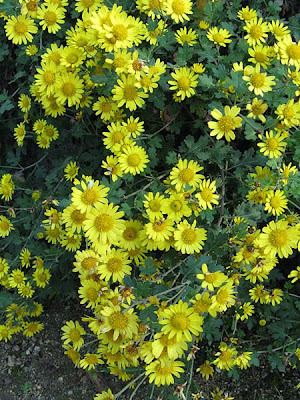 Small fully double bright yellow compositae flowers; borne singly. 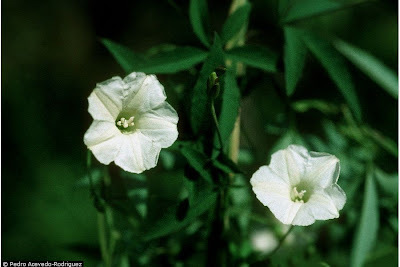 A light scandent shrub or low creeping perennial with serrate leaves. The plasticity needed to constantly progress. 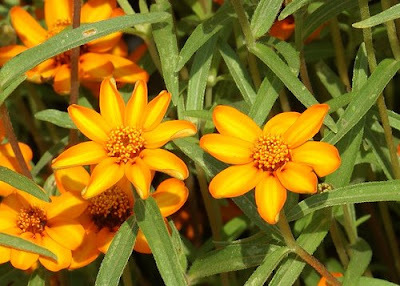 Small compact compositae yellow flowers with convoluted petals, in shades of yellow, orange and rust; borne singly or in few-flowered clusters. A low bushy annual with strongly aromatic leaves. A surrender that neglects nothing. 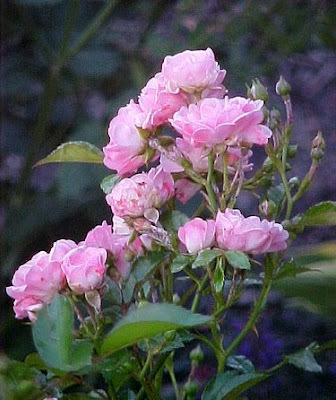 Small double pink flowers in large tight clusters. A small shrub. Nothing is too small to merit its attention. Small mainly single compositae flowers in white and shades of pink, yellow, bronze and red; borne singly or in corymbs in great profusion. A perennial herb or subshrub. Indispensable for all lasting accomplishment. Small white salverform flowers a reddish purple centre and a few reddish purple dots extending outward into the lobes; with five rounded lobes, the upper two often (but not always)overlapped to appear almost as one lobe; borne in erect spikes. 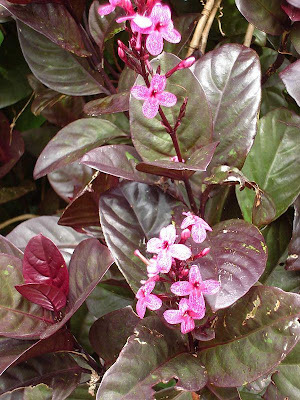 A small shrub with leaves often variegated or strongly coloured in maroon to dark purple.